Carnegie Mellon University has been designated as a National Center of Academic Excellence (CAE) in three distinct areas, Information Assurance/Cyber Defense Education (CAE-IA/CD), Information Assurance/Cyber Defense Research (CAE-R) and Cyber Operations (CAE-Cyber Ops). These designations are reflective of the work of CyLab faculty and researchers and the educational initiatives led by Dena Haritos Tsamitis, director of the College of Engineering's Information Networking Institute (INI) and director of Education, Training and Outreach for CyLab. 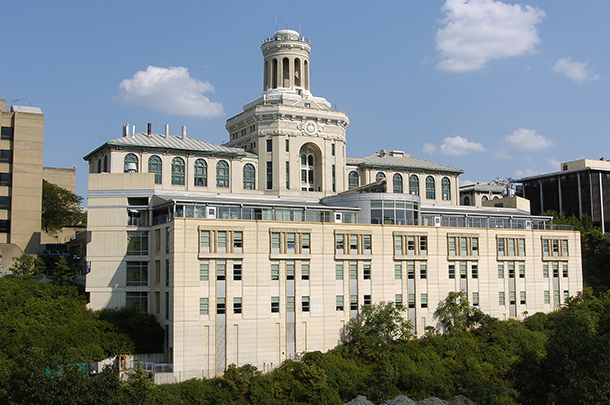 Across the colleges and schools at Carnegie Mellon, a number of professional graduate degree programs are offered in information networking, information security, and information technology, to create a pool of IA professionals who can address the wide range of technology, policy, and management issues in government, industry, and academia. Several colleges and departments at Carnegie Mellon offer Ph.D. programs which provide many of the faculty and graduate students active engagement in CyLab research. These include the School of Computer Science and the Departments of Electrical and Computer Engineering and Engineering and Public Policy, both from the College of Engineering. The Master of Science in Information Security (MSIS) degree offers a technical focus in security and computer systems, further developed through research opportunities. Graduates may pursue doctoral degrees or obtain positions as security experts equipped to manage the emerging complexities associated with securing data, networks and systems. The Pittsburgh-Silicon Valley Master of Science in Information Technology offers two degrees through bicoastal delivery in collaboration with the Silicon Valley campus: Mobility (MSIT-MOB) and Information Security (MSIT-IS). Students divide their studies between Carnegie Mellon's Pittsburgh and Silicon Valley campuses. The unique combination of rigorous technical topics, practical industry-oriented topics, and real-world project experience empowers students to be the movers and shakers of the tech industry, whether launching a tech start-up, joining an enterprise R&D team, or fighting cyber-crime. The Master of Science in Information Technology - Privacy Engineering (MSIT-PE) degree is a one year graduate program for computer scientists and engineers who wish to pursue careers as privacy engineers or technical privacy managers. Designed in close collaboration with industry and government, this program is intended for students who aspire to play a crticial role in building privacy into products, services, and processes. The Master of Science in Information Networking (MSIN) degree provides an advanced, specialized curriculum combining computer science, electrical and computer engineering, software engineering, and information systems while incorporating business and policy perspectives. Graduates are well positioned to pursue doctoral degrees or obtain leadership, technical, and management positions across an array of sectors and industries. The Master of Science in Information Security Policy and Management (MSISPM) provides students with background and insights into general and technical coverage of information security, while equipping them with the analytical methods and management practices necessary to succeed as managers in the field of information security. The Kobe Master of Science in Information Technology–Information Security is a collaboration between the University of Hyogo in Kobe, Japan, and the INI. This program offers a two-year, dual-degree program. The program prepares students to become leaders in information security by blending education in information security technology, business management, and policy in addition to providing a unique cultural perspective. The curriculum provides background, insights, and both general and technical coverage of key elements of information security while equipping students with the analytical methods and management practices to succeed as managers and technologists in the growing and rapidly changing field of information security. Upon completion of the dual-degree program, students earn graduate degrees in information technology from both Carnegie Mellon University and University of Hyogo. Students earn the Master of Science in Information Technology-Information Security (Kobe MSIT-IS) from the Information Networking Institute, Carnegie Mellon University and the Master of Applied Informatics from the Graduate School of Applied Informatics, University of Hyogo. The Master of Science in Software Engineering (MS-SE) is a unique program offered exclusively at CMU’s Silicon Valley campus. It emphasizes a rigorous foundation in the principles of software engineering within the context of ECE’s top-ranked Computer Engineering program. Students develop the understanding and skills needed to become the architects and project leaders building systems in which software plays a critical role. The course of study combines a deep core in software engineering principles and practices with application to a series of increasingly complex systems challenges drawn from the real world. Students in the Master of Science in Electrical and Computer Engineering (MS-ECE) program are provided with a thorough background in the fundamentals of electrical or computer engineering, as well as the opportunity for in-depth specialization in some particular aspect of these fields. Upon enrollment in the department, students are given the opportunity, with the help of an academic advisor and faculty mentor, to choose an educational program that is consistent with their backgrounds and is best suited to their own academic goals. Learn more about The Bureau for Private Postsecondary Education (BPPE). The Master of Science in Engineering and Technology Innovation Management (E&TIM) program is an one-year, interdisciplinary program that builds on the technical strengths of engineers and scientists by providing frameworks to lead, foster, and manage technical innovation. Innovation often requires leveraging new, unfamiliar technologies to create value. All too often, key business roles lack understanding of technology, and important technical roles are missing the importance of the business and commercial facets Professionals enter the program from areas like computer science, biology, chemistry, physics, and mechanical, electrical, biomedical, materials science, civil, environmental and engineering. Ph.D. Programs at the School of Computer Science: The School of Computer Science offers numerous programs for doctoral students, including Human-Computer Interaction, Machine Learning, Software Engineering, Computer Science, and Societal Computing. The doctoral programs differ from each other by their set of course requirements, though there is some overlap of courses between programs. Common to all SCS Ph.D. programs is the priority on research and attention to improving teaching, speaking, and writing skills. Ph.D. in Electrical and Computer Engineering (ECE): Students in the ECE Ph.D. Program are provided a research-intensive study of the fundamentals of electrical or computer engineering. Students will create and disseminate knowledge of electrical and computer systems during the course of obtaining the Ph.D. degree. Upon enrollment in the department, students, with the help of a faculty advisor, define an education and research program that is consistent with their backgrounds and is best suited to their own academic goals. Ph.D. students associated with the CyLab Mobility Research Center at Carnegie Mellon's Silicon Valley campus, typically split their time between Pittsburgh and Silicon Valley. Ph.D. in Engineering and Public Policy (EPP): The Ph.D. program at EPP requires a rigorous program of courses and research. The courses include a series of core classes on fundamental approaches and methods for engineering and public policy; required classes in statistics and economics; electives in engineering, science, and mathematics; and electives in the social sciences. Research experience and efforts begin very early in the academic program, leading to a first research paper of journal quality after the third semester and continuing through the development of subsequent papers and the Ph.D. thesis.